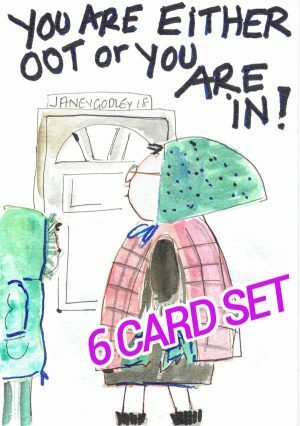 View cart “Card 2 – Taking a bath” has been added to your cart. 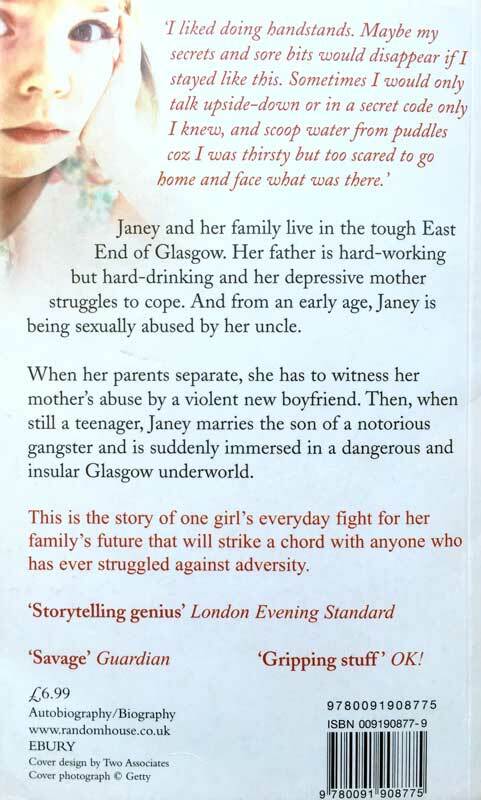 This evocative, intimate and moving portrayal of a woman forced to fight every day for her family’s future will strike a chord with anyone who has ever struggled against adversity. 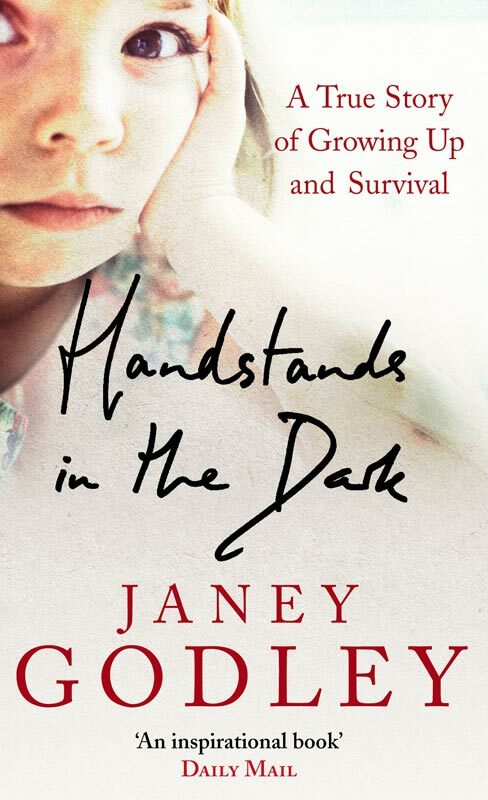 Brought up amid near-Dickensian squalour in the tough East End of Glasgow and sexually abused by her uncle, Janey married into a Glasgow criminal family as a teenager, then found herself having to cope with the murder of her mother, violence, religious sectarianism, abject poverty and a frightening family of in-laws. 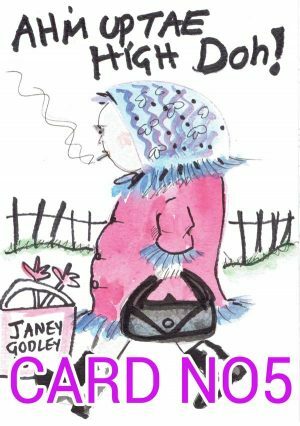 First-hand, Janey saw the gangland violence and met extraordinary characters within an enclosed and seldom-revealed Glasgow underworld – from the grim and far-from-Swinging 60s, to the discos of the 70s, to the tidal wave of heroin addiction which swept through and engulfed Glasgow’s East End during the 1980s. 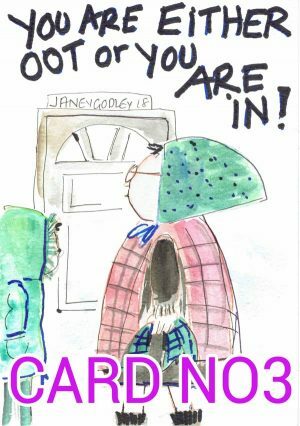 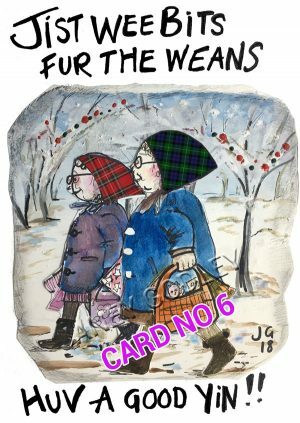 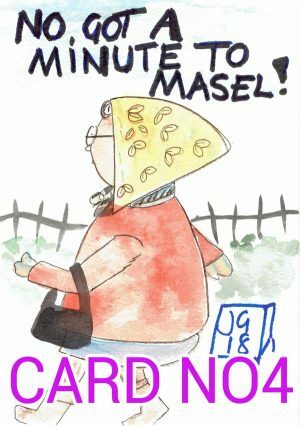 Card 5 – Up Tae High Doh!